The cream of the crop, full lace wigs are the ultimate option for a natural look. Also known as hand knotted wigs or hand tied wigs, full lace wigs are constructed using the tedious process of manually knotting individual hair fibers onto a soft mesh base cap. This results in the most natural looking wig possible. To be considered a full lace wig, the hairpiece will use 100% hand tied construction, even on the sides and back of the cap. Experience the luxury of our full lace wigs today. Full lace wigs are also known as hand knotted or hand tied wigs, because they are constructed by manually knotting each individual hair fiber onto the wig cap. This process creates the most natural wigs, because each strand is carefully placed so that the entire piece will lay perfectly on your head. Other types of wigs (like lace front wigs and monofilament wigs) are partially hand tied, but only a full lace wig will be constructed using the 100% hand tied method. This type of wig is the best option for women experiencing total hair loss from cancer or alopecia, because the the wig is carefully tied onto a comfortable fabric base. Full lace wigs provide the softest and most realistic look possible, without any natural hair required to keep these comfortable wigs in place. Headcovers.com has a large collection of lace wigs that have been specially chosen for overall quality, comfort, and design. Each brand we work with has proven quality and reviews, because we want to make sure you have a selection of the best wigs available. Please contact us at 1-800-264-HATS (4287) if you have any questions about lace front wigs or any other inquiries. A natural look is often the main quality women look for when selecting a wig. 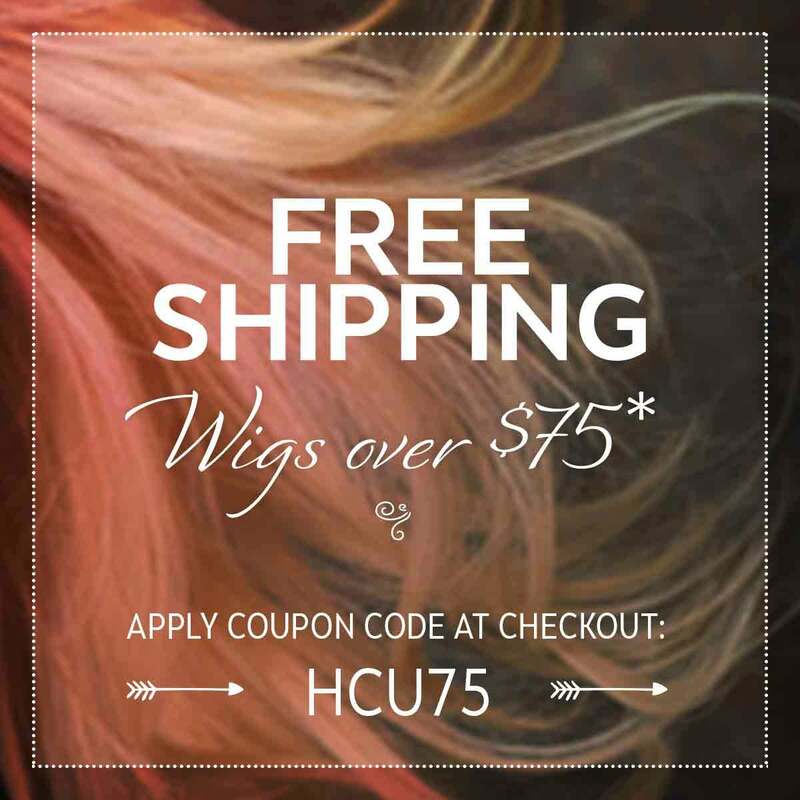 Not only are lace front wigs designed to naturally fit to your scalp, but the tedious construction of the cap also allows for a more comfortable, breathable fabric fit. The wig cap is important to consider for people with sensitive scalps, that can often be a result of hair loss and dryness. Whether you are experiencing total or partial hair loss, a full lace wig is a great option for a achieving a seamless, natural look with your wig while being comfortable enough to wear all day. Lace front wigs are the best natural looking wigs for women who want quality and comfort. After you receive your new full lace wig, you can start wearing it right away! While most are ready to wear out of the box, some may be a little excess lace at the hairline that needs to be trimmed in order for it to seemlessly fit on your scalp. This can be done by yourself at home. After the lace is carefully trimmed with scissors, you’re ready to wear your wig anywhere - even during sports/physicial activities if it is properly attached. Caring for your full lace wig is simple, but make sure to follow the care instructions specified on your wig and read up on our wig care guide. Both synthetic hair and human hair wigs are available with full lace construction to make the appearance more natural to your scalp. They are created using the same method of individually tying the hair fibers onto the cap so each strand falls perfectly on the wig. The difference between human hair and synthetic hair is often in the care and styling capabilities, because a quality wig made of either hair type will look beautiful and be hard to tell apart. Human hair is able to be heat-styled and dyed, but can require a little more effort to give the proper care. Synthetic wigs return to their initial style after washing and cannot be modified (unless they are heat-friendly). Choosing the right type of full lace wig depends on your own personal style and care preferences. Browse our large selection of high quality full lace wigs to find the best natural looking wigs for you!